Video promotion is 600% more effective and 60% of people will watch a video before reading text. 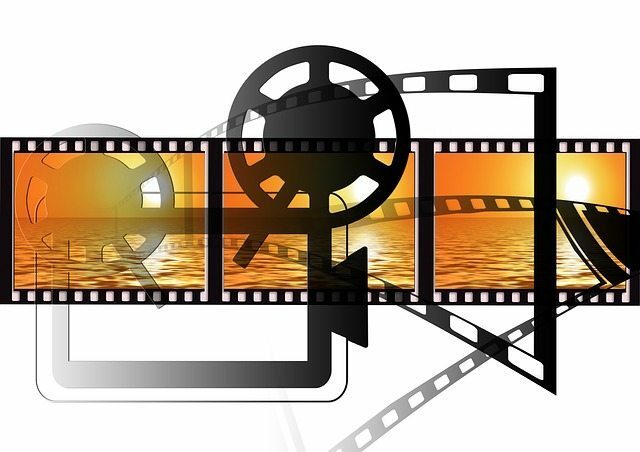 Video alone in an email will increase the click-through rate by 200-300%. Finally, 90% of users say product videos are helpful in the decision process. Thus, it’s obvious that videos are more effective and attractive than text. The problem then comes – how do you create and use videos? 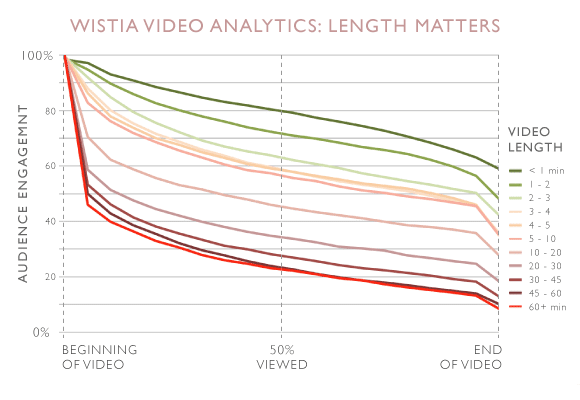 As the infographic shows below, the longer the video the less engagement. 40% of viewers will stop watching before the end of a one-minute video and the engagement only grows worse from there. This simple fact of a longer video meaning less engagement is what’s led apps like Vine, Snapchat, and Instagram to emphasize short videos. With this being said, no matter how long your video is people are going to stop watching it; thus, you want to ensure that all the important information is stated at the beginning. You do not want to waste time with a boring introduction but rather get straight to the point and keep the audience engaged. A good video is one that causes audiences to feel emotion unlike boring videos with people talking statically. Finally, you want to put a video into context and not just simply post it on your site. A video should have an intriguing title and description as well as a thumbnail that draws the audience’s attention and gives a hint at the video. If you keep your videos short, put important information first, maximize your time, and put videos in context then your videos will surely keep a larger audience and in return boost website engagement. Now the point of this blog is to cover the importance and effects of videos, so we know by this point you’re probably tired of reading. As a result, we’re going to end it here and play a video to summarize what we covered and emphasize the strength a video can bring to anything.